Corrected the Text area section. Just to clarify, there will probably be no more new content, only updates to adjust a few things. So I suppose you could say I'm on hiatus. The 'img' tag sections still require you to change the brackets '(' and ')' to pointy brackets. Don't forget you can request anything to do with HTML or CSS you are unsure of! Just drop me a Neomail! Make sure you copy my username (stickyjammy) in the "To:" box. If you would like to contact me, Neomail me. Do not copy or steal any content from this page. Do not steal or copy the layout. This is what I look like. My owner (stickyjammy) is starting to like customising and is searching for the best clothes for me. She likes the Hissi Thief set but she doesn't spend so much money just for clothes. Welcome! 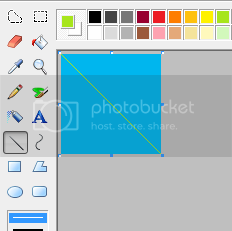 This page has a few small tutorials on HTML and graphics. To Navigate click the links on the right hand side. OR, you can search for keywords by using the search function in your browser (Ctrl+F) and typing the word you want to find with "[" and "]" around the word. I already have a HTML/CSS help page, but that seemed more like tips and tricks. I realised by looking at the Help boards, that people need help with adding images, changing the look of things, etc. So I thought I'd construct a little section to help them with it. If you do have a question about HTML, I would be happy to help. Just neomail me. 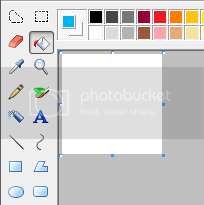 How do I put an image on my petpage or userlookup? 1. First you upload the image somewhere. Photobucket is probably the best choice. 2. When you have uploaded it, copy the code below and paste it where you want the image to be on your petpage/userlookup. 3. Go back to your image host and copy the URL of the image you want. Make sure the one you copy starts with "http://" because that is a direct link which is what we want. 4. Replace IMAGE URL HERE.jpg with the URL of the image you copied. How do I get the text to go around or wrap around the image? 1. In your img tag, add align="left" if you want the image to go to the left. You can change it to "right" if you want it on the right. How do I make a link so that it jumps to another part of the page? 1. Put this code and change 'Link' to whatever you want. Notice that when you make the link, you put a '# in front of the name. How do I make some text Bold, italic or underlined? The Underline code does not work. 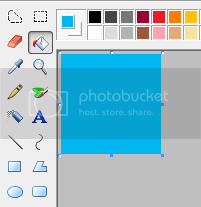 I've put 'border=0' because when you make an image a link there will be a horrid looking border around the image, so adding 'border=0' removes the border. THIS SECTION IS NOT WORKING FOR PETPAGES. DO NOT USE THE CODES. How do I make some stuff go back and forth? This is called a Marquee. It is good for a lot of text like updates. Though using it too much can get quite annoying, so try not to use it for everything. 2. You can change it a lot. Like changing the width, scrollamount, direction, scrolldelay, loop, etc. Mainly people would want to change the direction, speed and width. Add direction="left" to the marquee code to change the direction to go left. To make it go right, just change "left" to "right". To change the speed use both scrollamount and scrolldelay. scrollamount="NUMBER" . The higher the number the faster it is. scrolldelay="NUMBER" . The higher the number the slower it is. Change the "NUMBER" part to a number. How do I make a textbox that people can copy codes from? That is what you call a text area. 1. This code is pretty difficult to show on the petpages, so you'll have to copy from this image. How do put an image as a background? You will have to use CSS for this. 1. Upload your image somewhere. Copy the "Direct Link" URL of your image and replace "URLOFIMAGE" with it. How do you get a horizontal gap or separate the content from the footer? For this there are a few methods of doing this. 1. The first most easy one is the br tag. Though, the tag won't separate, for example, a content and a sidebar from the footer. Because this only creates a line break. 2. So we use another method which is probably the best. I'll split it up so it'll make it easier. a) clear:both; is for when other divs have the "float" properties, and makes it so the floating divs won't go on either side of the div with the properties "clear:both;". b) Width is self-explanatory and so is height. With the height, you can change it to what you like. So now we have the CSS ready, we just need to get the right code. And of course, "spacer" is what you named it in the CSS. All you need to do is just put it after the div or where ever you want a horizontal gap. You don't need to type anything in between. How do I make the font size on my userlookup smaller? It's very simple! Just add this to your userlookup css. Replace the asterisk (*) with the font size you want. The !important part is in there to overwrite the default font size. DISCLAIMER: I didn't come up with this! 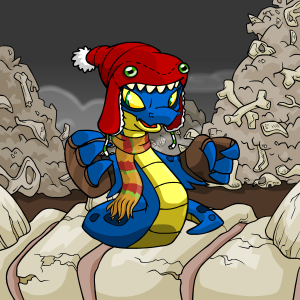 I found this method on an offsite, I decided that maybe people would like to know it on neopets. Credits to NerdParadise. 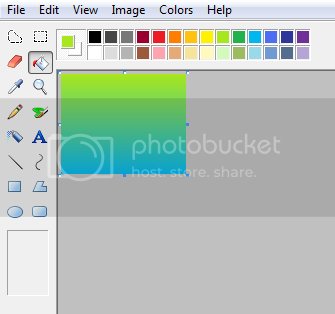 Want to make a gradient like the above? 2. Fill it with the colour you want at the bottom of the gradient. I filled it with blue. 3. 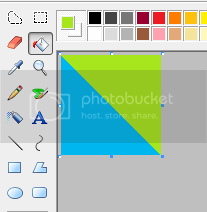 Then get the line tool and make a diagonal line with the colour you want the top part to be. 4. Fill the top side of the diagonal line. 5. Resize it horizontally to 1%. 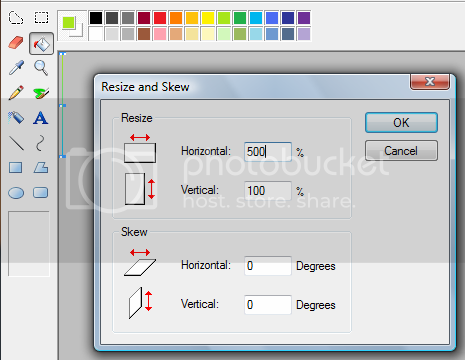 Change it by going to Resize and skew, press CTRL+W or click Image, Resize and skew. 6. It will become just a thin line, like so. 7. 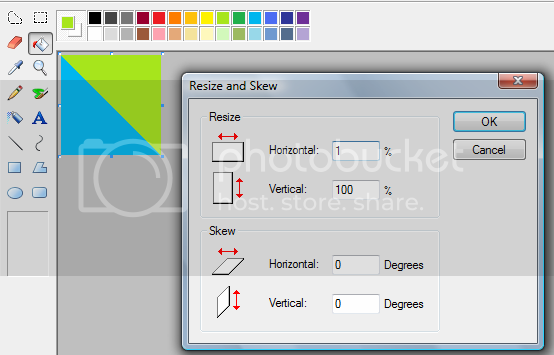 Then stretch it out again by going to Resize and skew and changing the horizontal resize to 500%. Keep doing this until it is as wide as you want. Then you are done! You can add text to it or do whatever you want to it.